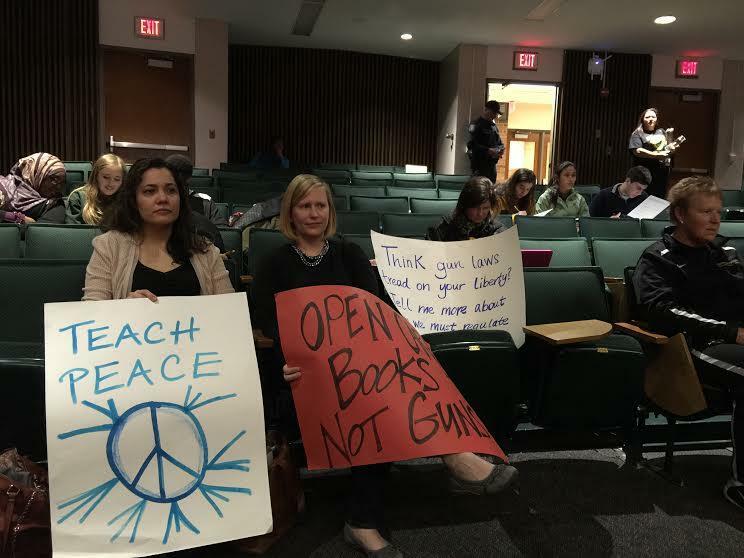 Ann Arbor residents with posters supporting a ban on guns on campus. About a dozen parents spoke out publicly in support of the ban. 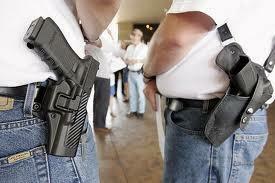 Wade was there too, once again openly carrying his weapon, to warn the board that it would be sued if the ban passes. Meanwhile, the board’s legal experts have been advising members on how to put together a ban that might be able to stand up in court. According to board president Deb Mexicotte, it comes down to a “three prong” legal approach. 3) State guidelines for schools about emergency planning say that somebody with a gun on campus constitutes an emergency. Still, Mexicotte says, “this is a place where there’s tension between the laws” as to whether someone can legally carry a gun on campuses. And you don’t have to look far to see a Michigan school district that was sued for passing a similar ban: Clio Township reportedly wouldn’t let a parent pick up his daughter because he was openly carrying a pistol, and that man is now suing the district for violating his rights. 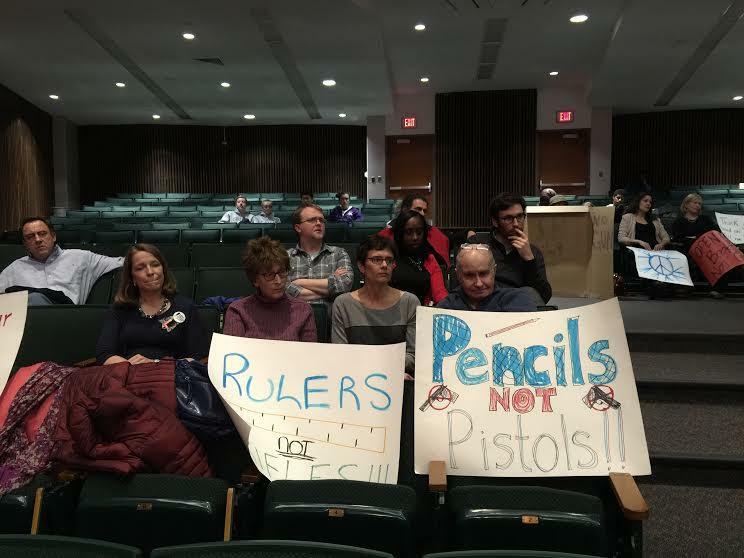 The Ann Arbor school board is expected to vote on the issue at its April meeting. Here are the actual policies that the board is currently considering. As you can tell, they're still a work in progress. Draft of potential new school safety policies. Draft of potential new school safety, injury & emergencies policy. 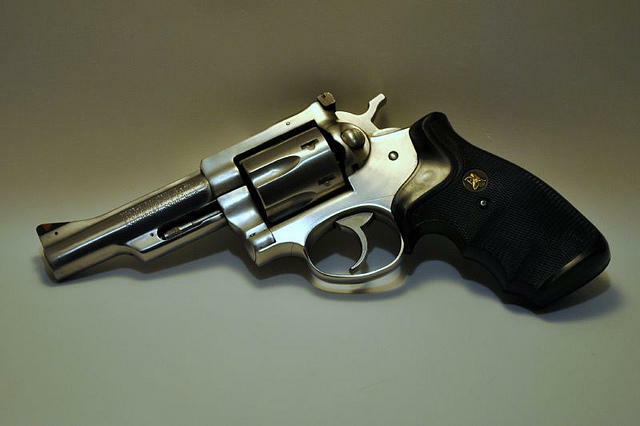 The State House has approved legislation that would overhaul the way Michigan approves concealed pistol licenses. 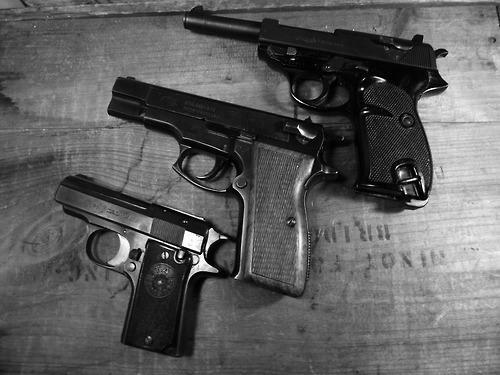 The legislation would abolish county gun boards which approve the licenses. Those duties would go to county clerks with the State Police conducting background checks. State Representative Klint Kesto, R-Commerce Township, says the gun boards sometimes discriminate against applicants.